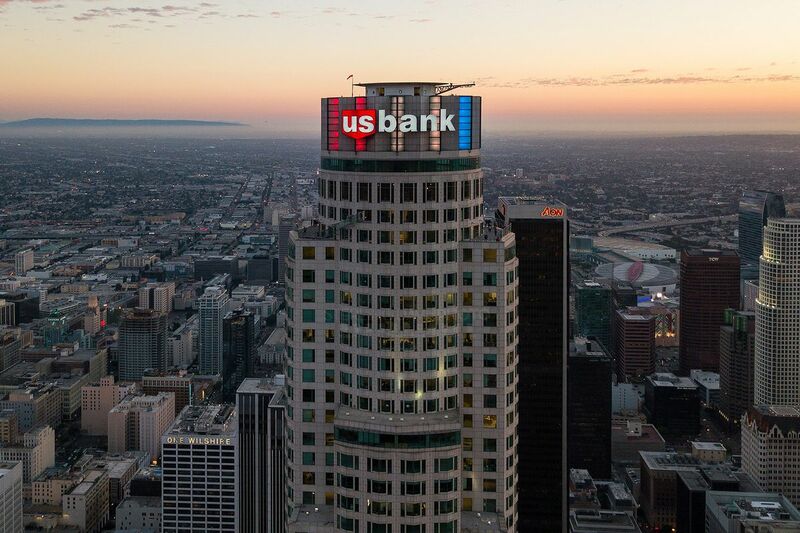 Downtown LA’s U.S. Bank Tower, the second-tallest building west of the Mississippi by a spire, is for sale. The asking price is reportedly $500 per square foot, or approximately $700 million, says commercial real estate publication Real Estate Finance & Investment, which was the first to report the news. The seller, Singapore-based OUE Ltd., purchased the tower on the border of the Financial District and Bunker Hill in 2013 for $367.5 million. Beginning in 2015, OUE performed a $50 million round of upgrades to the building, revamping the building’s Fifth Street frontage, and adding an observation deck, that famed glass slide, and a giant LED screen inside the building’s glass-fronted ground-floor lobby. “We’ve put a lot of money into it,” Peter Johnston, senior vice president with OUE USA Services Corp., told the Downtown News. Johnston noted that under OUE, the tower has gone from being roughly half empty to almost 85 percent leased. “I just think we’re interested in testing the market,” said Johnston. It would be a big test. A recent comparable sale, of Bunker Hill’s One California Plaza, yielded $460 a square foot, for a total of $465 million, notes the News. Downtown’s office market is on the rise, with vacancy rates for the most in-demand and up-to-date office space dropping to 16.5 percent vacant last quarter compared to 17.6 vacant a year ago, according to the Los Angeles Times. Rental prices for that same type of office space have gone up slightly too. A large contributor to the heightened demand comes from the increase in new residential projects Downtown and in entertainment and food options in the area, JLL real estate broker and office sales expert Tom Bohlinger told the Times. “We have a demographic now that loves the urban environment,” Bohlinger said.